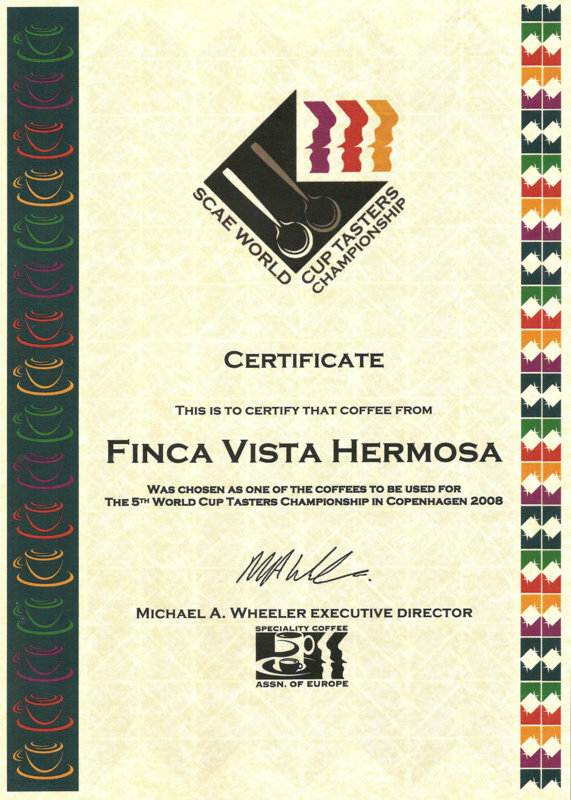 This just came in the mail recently awarding us for our participation earlier this year as one of the selected coffees used in the World Cup Tasting Championship in Copenhagen, Denmark 2008. Congratulations, Edwin. This is very cool. Confirms our pride in carrying your great coffee! We’re getting many wonderful cups and here’s to many more! And the coolest part of course was you participating in the actual competition, Edwin!